Figure 2. 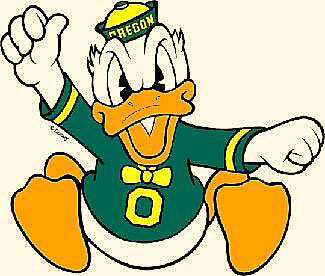 Dennis Dixon tore his ACL in 35-23 victory over Arizona State on Nov. 3, 2007. Dixon’s left knee crumbled as he tried to plant on an option carry with about five minutes to go in the first quarter against Arizona (5-6, 4-4). If you’re a sports fan and/or participant, you’ve probably heard of ACL injuries — but do you know what they are and how they are treated? In a nutshell, an ACL injury is a tear in the Anterior Cruciate Ligament (ACL), which is a ligament inside the knee that connects your upper leg and lower leg. It helps keep the knee stable. ACL injuries can range from minor injuries to complete tears, which can cause severe pain and immobility. 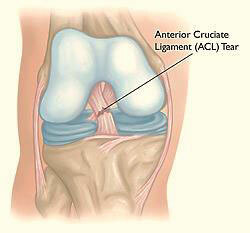 ACL injuries are among the most common sports-related knee injury, according to the Mayo Clinic. About 150,000 new cases occur in the United States each year. In fact, high school athletes are more likely to suffer ACL injuries than any other age group. They are especially susceptible because during puberty bones grow in length but not in strength. This leads to decreased control of the knee, which increases the risk of injury. Athletes involved in sports such as football, basketball and soccer — which involve abrupt stopping, cutting, and jumping — are especially prone to these injuries. ACL injuries are caused when the knee is hyperextended beyond its normal fully straightened range. They typically occur when athletes suddenly turn and twist their knee with their feet remaining on the ground. About 70 percent of the injuries do not involve contact with other athletes, according to the American Orthopaedic Society for Sports Medicine. Click to see a video replay of Dennis Dixon’s injury. 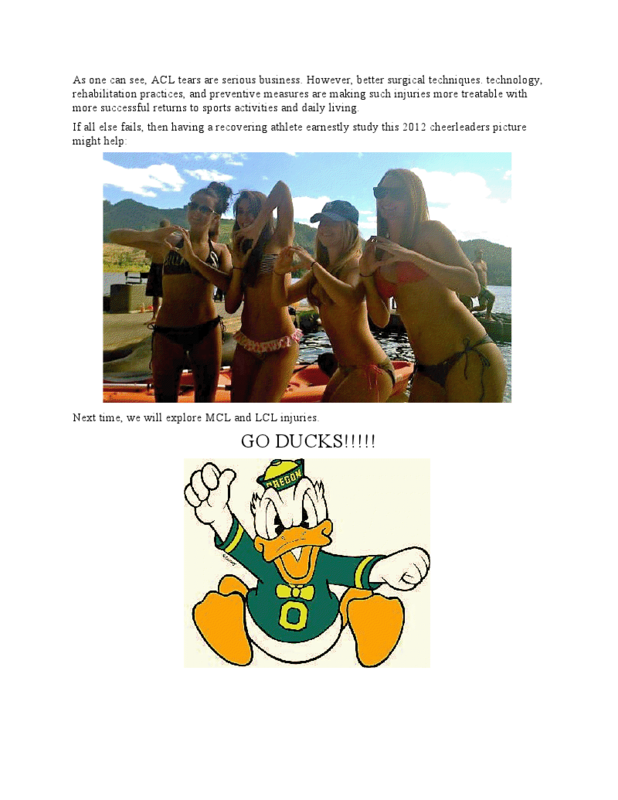 We will now explore ACL tears. We begin with the anatomy of the knee, the ACL, and the meniscus. The anterior cruciate ligament (ACL) is one of the most commonly injured ligaments of the knee. The incidence of ACL injuries is currently estimated at approximately 200,000 annually, with 100,000 ACL reconstructions performed each year. In general, the incidence of ACL injury is higher in people who participate in high-risk sports, such as basketball, football, skiing, and soccer. Approximately 50 percent of ACL injuries occur in combination with damage to the meniscus, articular cartilage, or other ligaments. Additionally, patients may have bruises of the bone beneath the cartilage surface. These may be seen on a magnetic resonance imaging (MRI) scan and may indicate injury to the overlying articular cartilage. 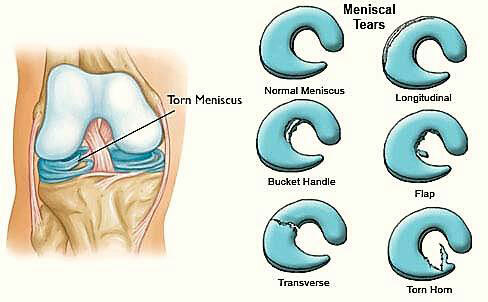 Sports-related meniscal tears often occur along with other knee injuries, such as anterior cruciate ligament tears. The natural history of an ACL injury without surgical intervention varies from patient to patient and depends on the patient’s activity level, degree of injury and instability symptoms. The prognosis for a partially torn ACL is often favorable, with the recovery and rehabilitation period usually at least three months. However, some patients with partial ACL tears may still have instability symptoms. Close clinical follow-up and a complete course of physical therapy helps identify those patients with unstable knees due to partial ACL tears. Complete ACL ruptures have a much less favorable outcome. After a complete ACL tear, some patients are unable to participate in cutting or pivoting-type sports, while others have instability during even normal activities, such as walking. There are some rare individuals who can participate in sports without any symptoms of instability. This variability is related to the severity of the original knee injury, as well as the physical demands of the patient. About half of ACL injuries occur in combination with damage to the meniscus, articular cartilage or other ligaments. Secondary damage may occur in patients who have repeated episodes of instability due to ACL injury. With chronic instability, up to 90 percent of patients will have meniscus damage when reassessed 10 or more years after the initial injury. Similarly, the prevalence of articular cartilage lesions increases up to 70 percent in patients who have a 10-year-old ACL deficiency. During the surgery, doctors will typically drill a hole through the tibia into the femur and thread a tissue from a chosen tendon through the holes. Patients treated with surgical reconstruction of the ACL have long-term success rates of 82 percent to 95 percent. Recurrent instability and graft failure are seen in approximately 8 percent of patients. The goal of the ACL reconstruction surgery is to prevent instability and restore the function of the torn ligament, creating a stable knee. This allows the patient to return to sports. There are certain factors that the patient must consider when deciding for or against ACL surgery. A patient with a torn ACL and significant functional instability has a high risk of repeat injuries. After surgery, patients have to wear a knee brace and go through rehabilitation and physical therapy. The whole process generally takes six to nine months. During that time, patients have to devote 30 to 60 minutes a day to doing strengthening exercises. Exercises include quad sets (where one tightens the quad muscle and holds it for a few seconds), straight leg raises (when the patient tightens his/her quad and lifts the leg up while keeping it straight), leg presses, and squats. Athletes who wish to return to their previous level of competitiveness usually undergo surgery, which is the only way to effectively treat a broken ACL. Surgery has the best long-term outcomes, but return to sport after surgery is about six months of rehabilitation. It is common to see ACL injuries combined with damage to the menisci (50 percent), articular cartilage (30 percent), collateral ligaments (30 percent), joint capsule, or a combination of the above. The “unhappy triad,” frequently seen in football players and skiers, consists of injuries to the ACL, the MCL, and the medial meniscus. In cases of combined injuries, surgical treatment may be warranted and generally produces better outcomes. 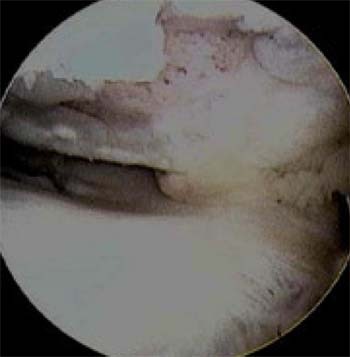 As many as 50 percent of meniscus tears may be repairable and may heal better if the repair is done in combination with the ACL reconstruction. Exercises include quad sets (where you tighten the quad muscle and hold it for a few seconds), straight leg raises (when you tighten your quad and lift your leg up while keeping it straight), leg presses, and squats. “Surgery has the best long-term outcomes, but return to sport after surgery is about six months [of rehab],” said Zimmerman, the Carle Sports Medicine doctor. Patellar tendon autograft – The middle third of the patellar tendon of the patient, along with a bone plug from the shin and the kneecap is used in the patellar tendon autograft. Occasionally referred to by some surgeons as the “gold standard” for ACL reconstruction, it is often recommended for high-demand athletes and patients whose jobs do not require a significant amount of kneeling. In studies comparing outcomes of patellar tendon and hamstring autograft ACL reconstruction, the rate of graft failure was lower in the patellar tendon group (1.9 percent versus 4.9 percent). In addition, most studies show equal or better outcomes in terms of postoperative tests for knee laxity (Lachman’s, anterior drawer and instrumented tests) when this graft is compared to others. However, patellar tendon autografts have a greater incidence of postoperative patellofemoral pain (pain behind the kneecap) complaints and other problems. Additionally, since the medial hamstrings often provide dynamic support against valgus (an abnormal outward turning of a bone, especially of the hip, knee, or foot) occasionally used to indicate an inward turning stress and instability), some surgeons feel that chronic or residual medial collateral ligament laxity (grade 2 or more) at the time of ACL reconstruction may be a contra-indication for use of the patient’s own semitendinosus and gracilis tendons (the gracilis tendons are paired bands of connective tissue made of collagen that connect the gracilis muscles to bone. The gracilis tendons enable the contracting gracilis muscles to adduct the hip and flex and medially rotate the flexed knee) as an ACL graft. Quadriceps tendon autograft – The quadriceps tendon autograft is often used for patients who have already failed ACL reconstruction. The middle third of the patient’s quadriceps tendon and a bone plug from the upper end of the knee cap are used. This yields a larger graft for taller and heavier patients. Because there is a bone plug on one side only, the fixation is not as solid as for the patellar tendon graft. There is a high association with postoperative anterior knee pain and a low risk of patella fracture. Patients may find the incision is not cosmetically appealing. Allografts – Allografts are grafts taken from cadavers and are becoming increasingly popular. These grafts are also used for patients who have failed ACL reconstruction before and in surgery to repair or reconstruct more than one knee ligament. Advantages of using allograft tissue include elimination of pain caused by obtaining the graft from the patient, decreased surgery time and smaller incisions. The patellar tendon allograft allows for strong bony fixation in the tibial and femoral bone tunnels with screws. Recently published literature may point to a higher failure rate with the use of allografts for ACL reconstruction. Failure rates ranging from 23% to 34.4% have been reported in young, active patients returning to high-demand sporting activities after ACL reconstruction with allografts. This is compared to autograft failure rates ranging from 5% to 10%. Infection. The incidence of infection after arthroscopic ACL reconstruction has a reported range of 0.2 percent to 0.48 percent. There have also been several reported deaths linked to bacterial infection from allograft tissue due to improper procurement and sterilization techniques. Bleeding, numbness. Rare risks include bleeding from acute injury to the popliteal artery (overall incidence is 0.01 percent) and weakness or paralysis of the leg or foot. It is not uncommon to have numbness of the outer part of the upper leg next to the incision, which may be temporary or permanent. Blood clot. A blood clot in the veins of the calf or thigh is a potentially life-threatening complication. A blood clot may break off in the bloodstream and travel to the lungs, causing pulmonary embolism or to the brain, causing stroke. This risk of deep vein thrombosis is reported to be approximately 0.12 percent. Instability. Recurrent instability due to rupture or stretching of the reconstructed ligament or poor surgical technique (reported to be as low as 2.5 percent and as high as 34 percent) is possible. In other words, repeated injury after the initial injury and surgery can result in poorer and poorer outcomes. Stiffness. Knee stiffness or loss of motion has been reported at between 5 percent and 25 percent. Kneecap pain. Postoperative anterior knee pain is especially common after patellar tendon autograft ACL reconstruction. The incidence of pain behind the kneecap varies between 4 percent and 56 percent in studies, whereas the incidence of kneeling pain may be as high as 42 percent after patellar tendon autograft ACL reconstruction. Physical therapy is a crucial part of successful ACL surgery, with exercises beginning immediately after the surgery. Much of the success of ACL reconstructive surgery depends on the patient’s dedication to rigorous physical therapy. With new surgical techniques and stronger graft fixation, current physical therapy uses an accelerated course of rehabilitation. Postoperative Course – In the first 10 to 14 days after surgery, the wound is kept clean and dry, and early emphasis is placed on regaining the ability to fully straighten the knee and restore quadriceps control. The knee is iced regularly to reduce swelling and pain. 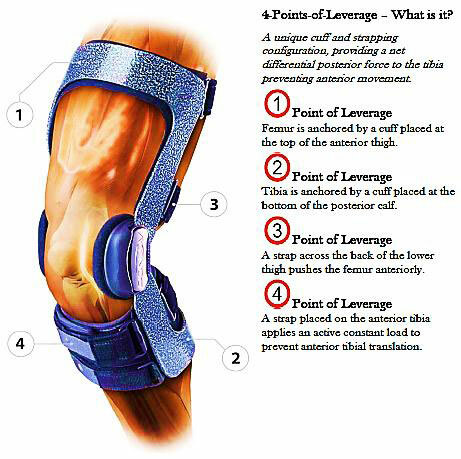 The surgeon may dictate the use of a postoperative brace and the use of a machine to move the knee through its range of motion. 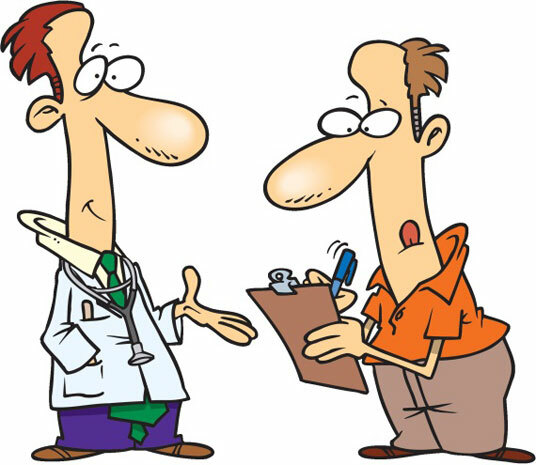 Weight-bearing status (use of crutches to keep some or all of the patient’s weight off of the surgical leg) is also determined by physician preference, as well as other injuries addressed at the time of surgery. 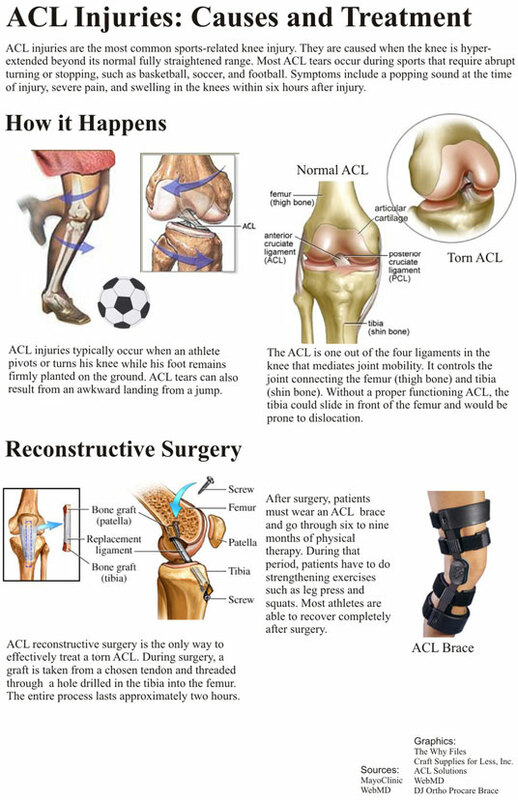 Rehabilitation – The goals for rehabilitation of ACL reconstruction include reducing knee swelling, maintaining mobility of the kneecap to prevent anterior knee pain problems, regaining full range of motion of the knee, as well as strengthening the quadriceps and hamstring muscles. The patient’s sense of balance and control of the leg must also be restored through exercises designed to improve neuromuscular control. This usually takes four to six months. The use of a functional brace when returning to sports is ideally not needed after a successful ACL reconstruction, but some patients may feel a greater sense of security by wearing one. Figure 11. One kind of knee brace used with ACL patients. As one can see, ACL tears are serious business. However, better surgical techniques. technology, rehabilitation practices, and preventive measures are making such injuries more treatable with more successful returns to sports activities and daily living. Next time, we will explore MCL and LCL injuries.